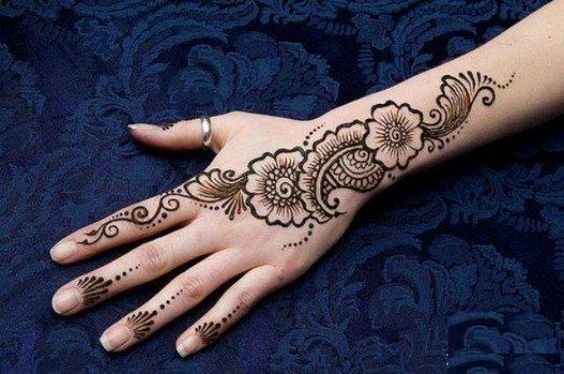 We all love floral mehndi designs and they become ever more elegant when nicely done on the side right? 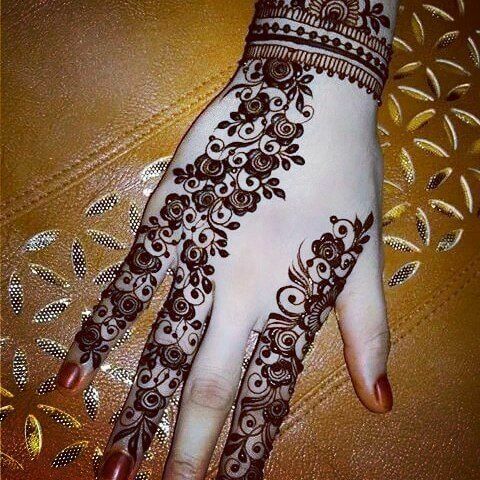 HAve a look at this stunning one side mehndi design where you can see a floral vine made at the side of the hand. If you want a simple yet elegant look, go for this design. 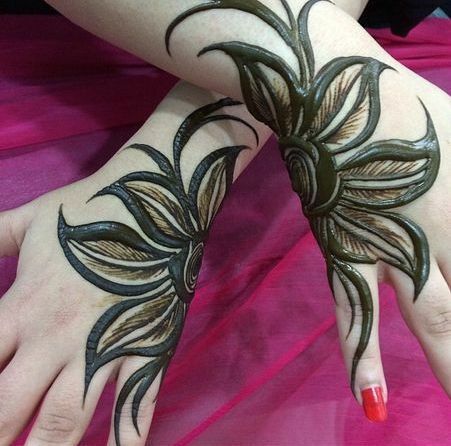 One side mehndi designs have an elegance of their own and most girls like to go for such designs. 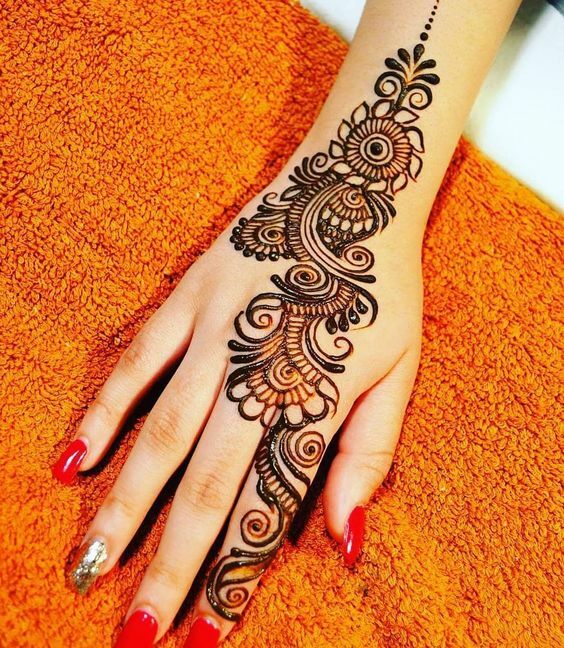 Have a look at this alluring one side Arabic mehndi design which has a vine pattern with some of the most stunning patterns inside. Mehndi is a beautiful tradition which can never be ignored at any cost. 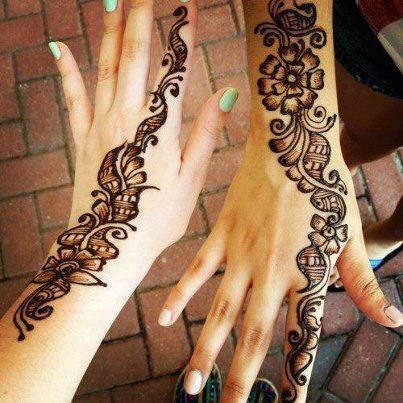 Girls like putting mehndi on their hands even on the smallest events. 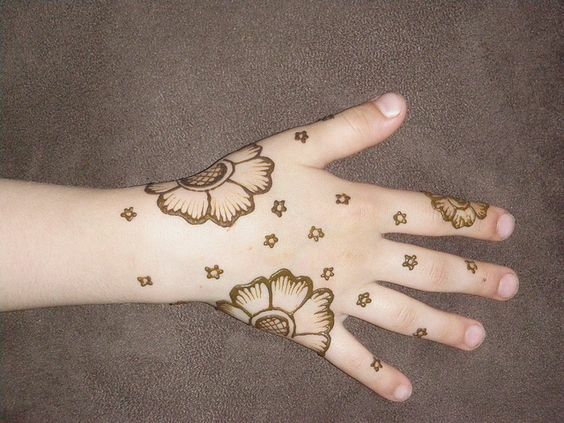 Look at how lovely this one side mehndi design is that you can even put it by yourself. 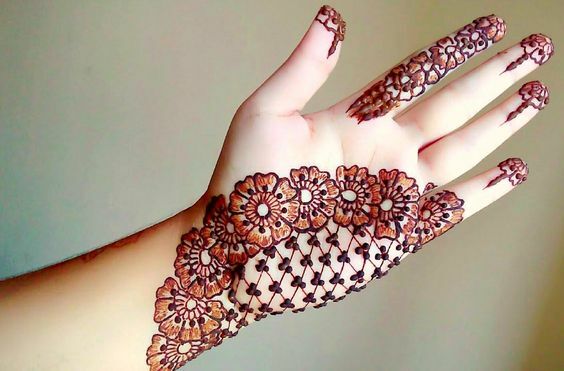 If you are a true fan of mehndi but also don't like getting tons of patterns made on top of your hand then have a look at this mehndi design. 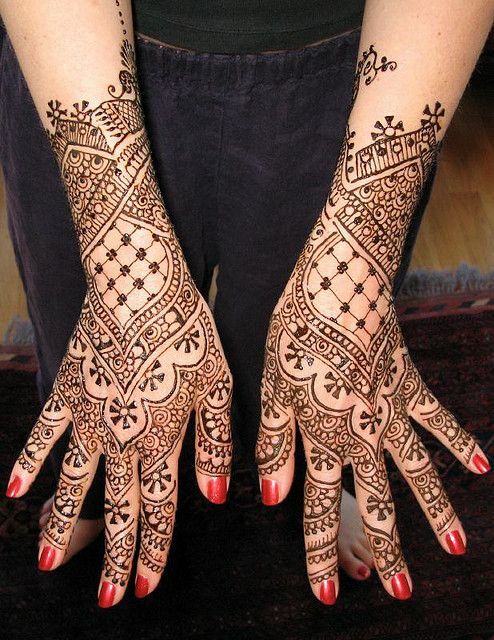 This is one super elegant mehndi design that has been made at one side of the hand and looks extremely stunning. 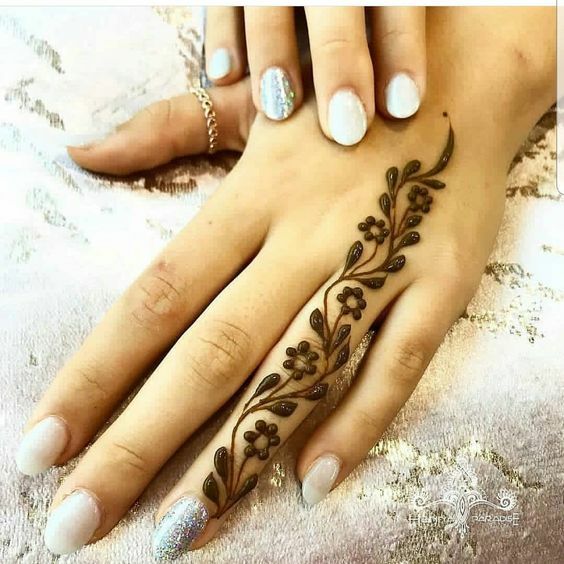 If you are a fan of one side mehndi designs but also want something super unique then this design is the perfect choice for you. 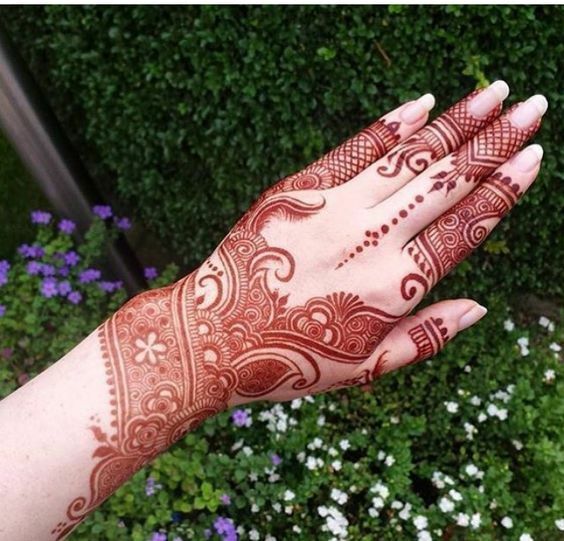 This mehndi design has been made at the side of the hand which has the feathery type of patterns making the whole design look unique. There are brides who don't like getting their hands loaded with mehndi but prefer a mehndi design which has grace and simplicity in it. 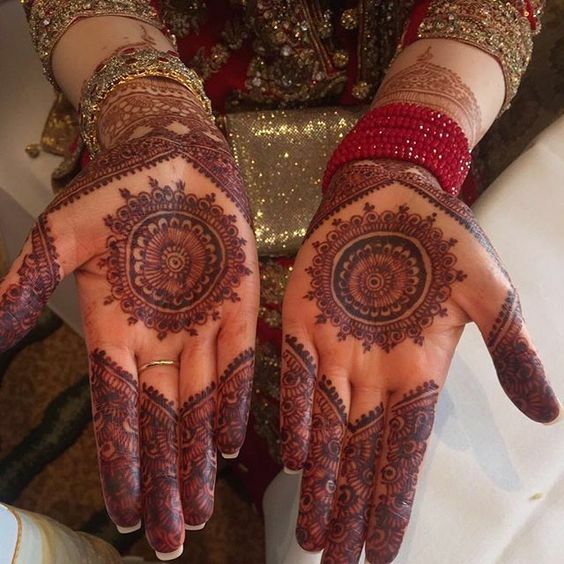 Look at how stunning this one side mehndi design looks which is perfect for the brides. 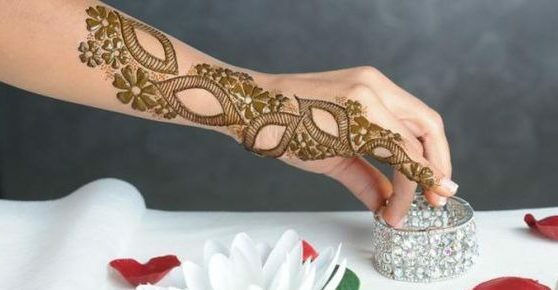 Have a look at this super stunning mehndi design which is going to make you fall in love with it. 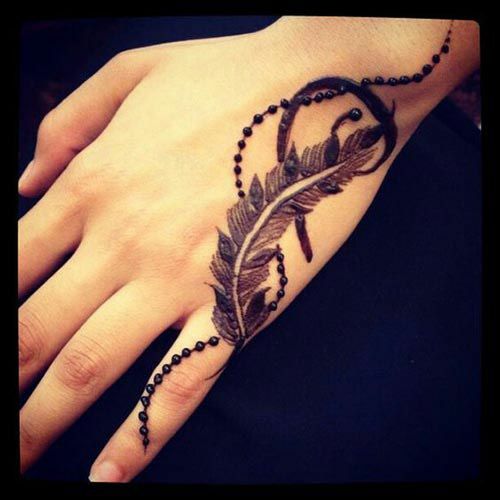 This is a one side mehndi design which has been made t the side on one finger. It looks super delicate and can catch anyone's attention in no time. Not everybody likes traditional mehndi designs all the time but prefer some designs that would look classy and simple at the same time. 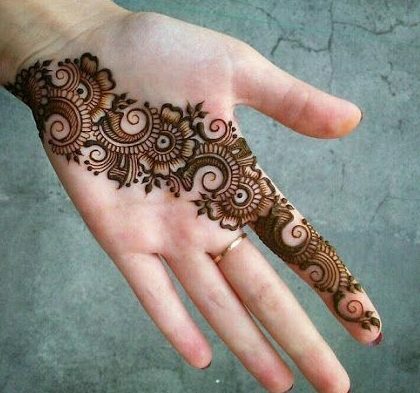 Look at how stunning this mehndi design is which has some alluring patterns made at the back of the hand. 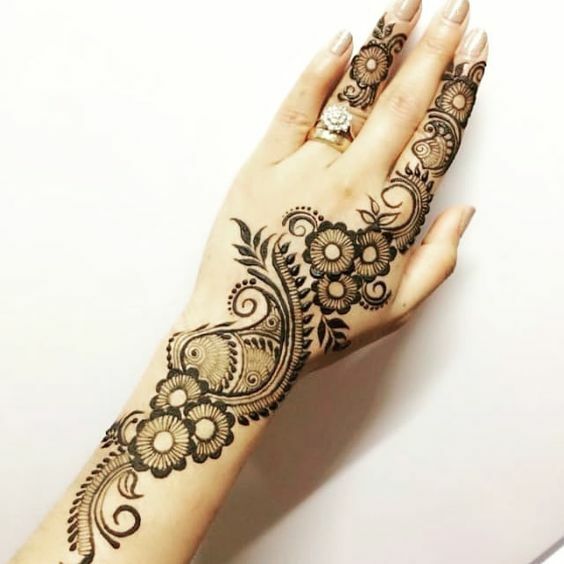 One side Arabic mehndi designs are perfect for those girls who want a simple yet a very eye-catching design and don't like to make their hands loaded with mehndi. 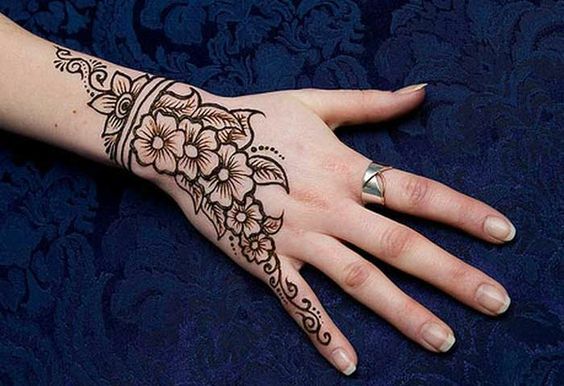 This mehndi design has some really amazing floral patterns made at the back of the hand. There are girls who are great fans of thick mehndi designs. So, here is one such design which is going to be your new favorite with thick and bold side patterns. It has been made at the back of the hand and you can even make it yourself. 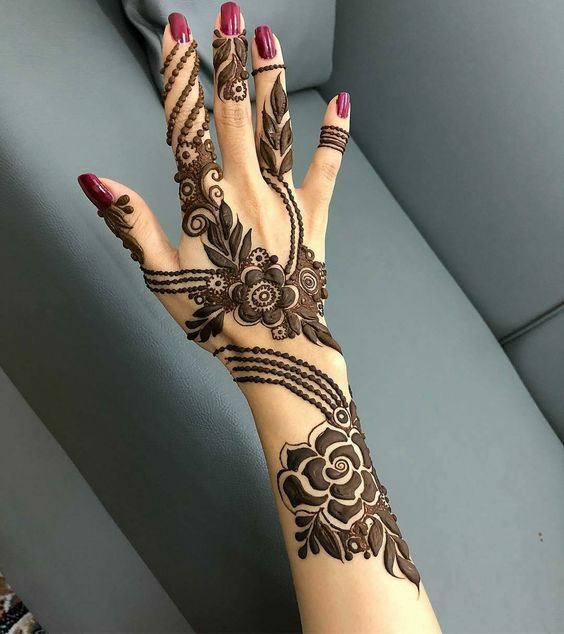 One side Arabic mehndi designs look abs9olutely stunning and are perfect for people who don't like too much mehndi on their hands. 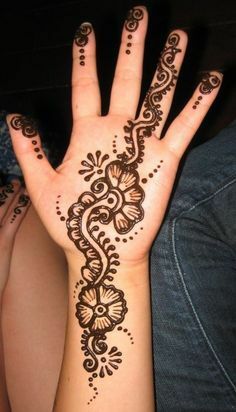 Look at how gorgeous this mehndi design is which has patterns on one side of the hand and some tiny work on fingers too. Most people prefer simple mehndi designs on the front of their hands. Many people like going for a simple vine de4sig that also looks stylish. 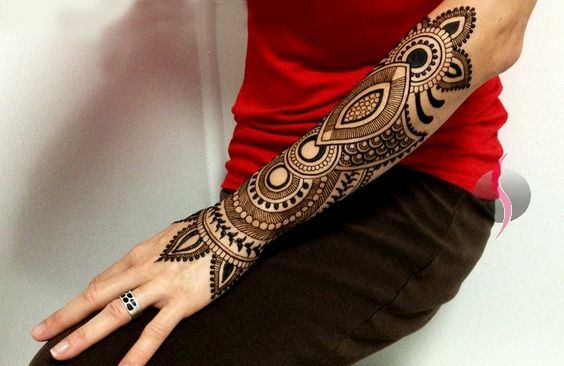 So, if you are one of those people then you're surely going to love this mehndi design which has beautiful patterns. 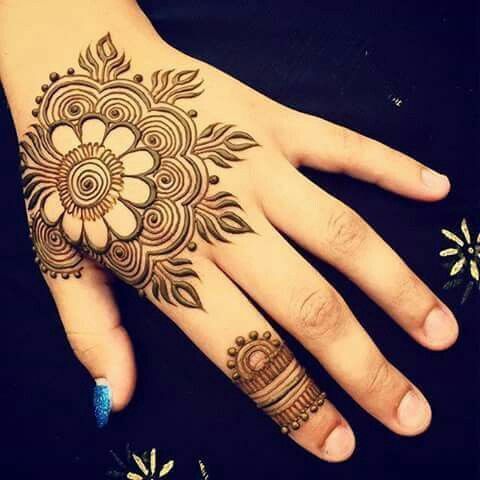 If you are a fan of one side mehndi and literally want a design that can make your hand looks stylish then this is going be the perfect one. 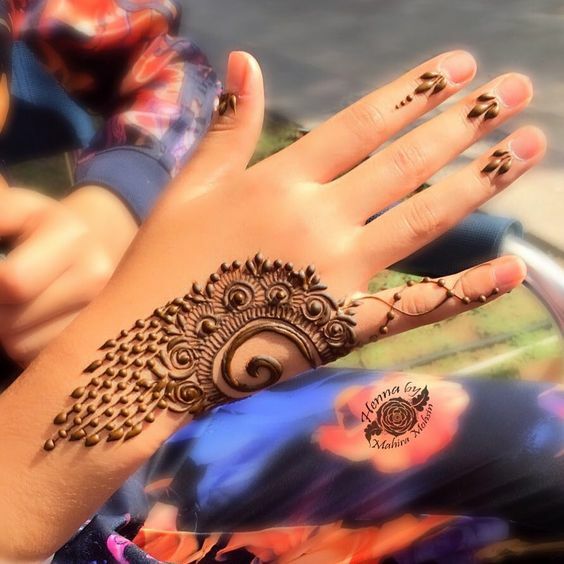 This mehndi design has been made at the back of the hand and ahs some filled leafy patterns. Here comes a yet another alluring mehndi design which is perfect for the Dubai brides due to its elegant look and the minimalist design. This design has been made at the back of the hand with vines patterns that look amazing. Most of the hand is empty where brides can put different jewelry. 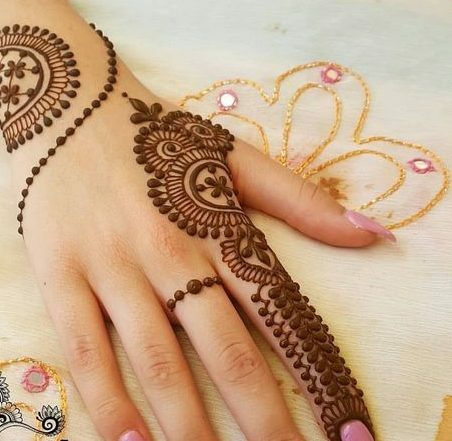 If you're looking for a perfect simple Arabic mehndi design then your search is over as this mehndi design is going to be the perfect for you. 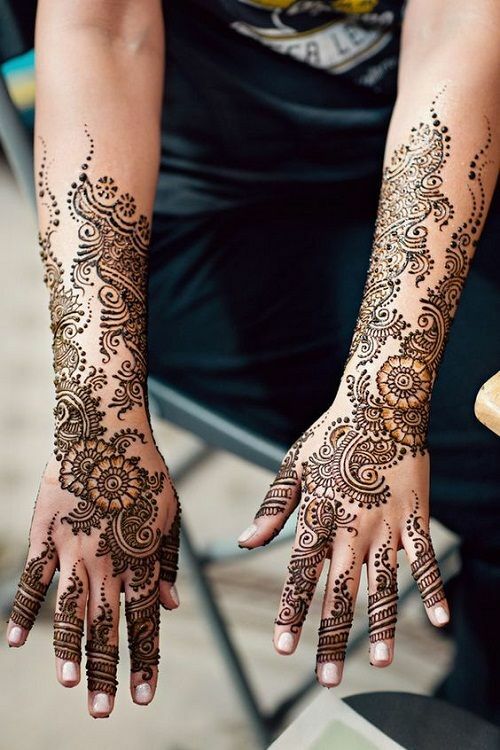 This is one alluring mehndi design which has floral patterns that have intricate detailing and looks super striking. 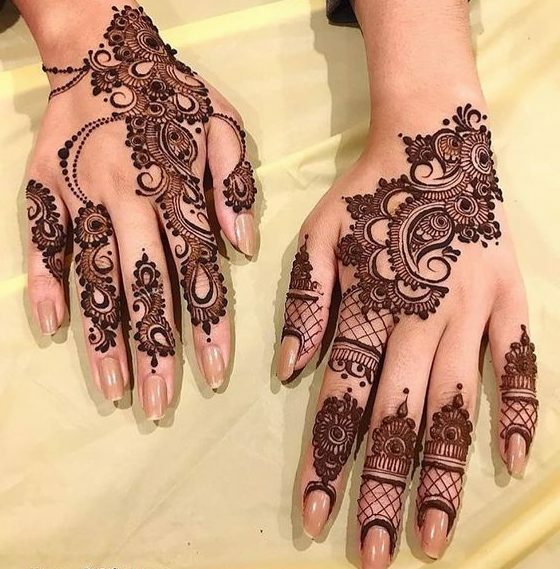 If you're going to get married and are in search of a mehndi design that won't look too extra but will make your hands look beautiful then this is the right choice for you. 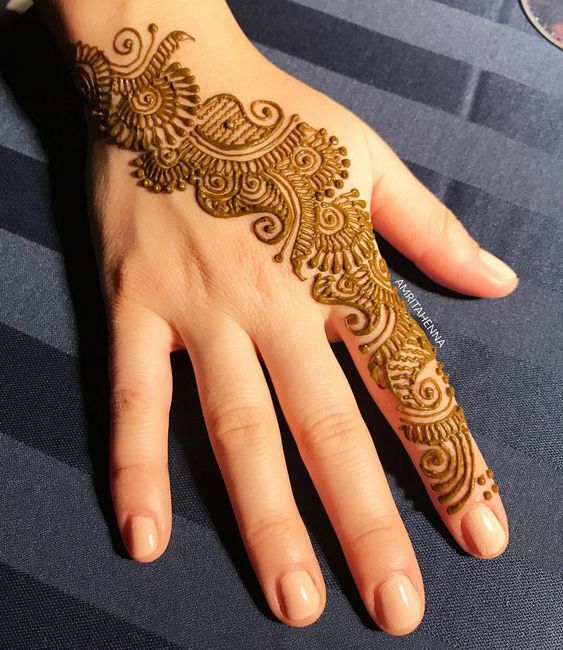 This is an Arabic mehndi design made at the back of the hand with some alluring patterns. 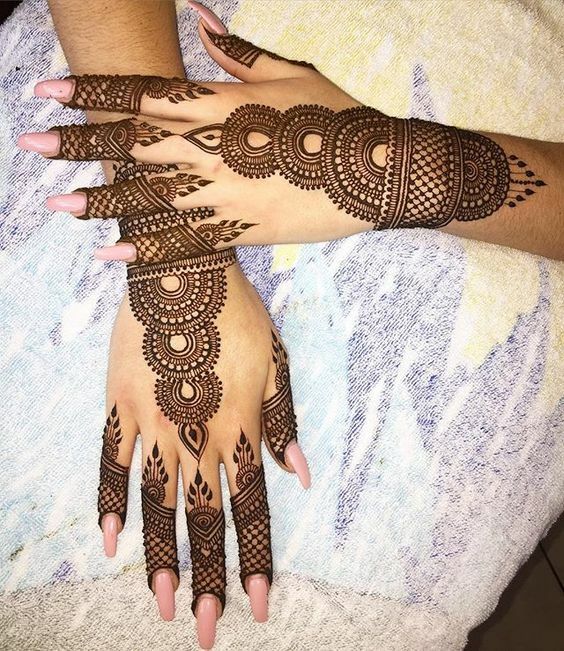 If you are looking for something unique that contains a circle mehndi design for your front hands then this is going to be just perfect for you. 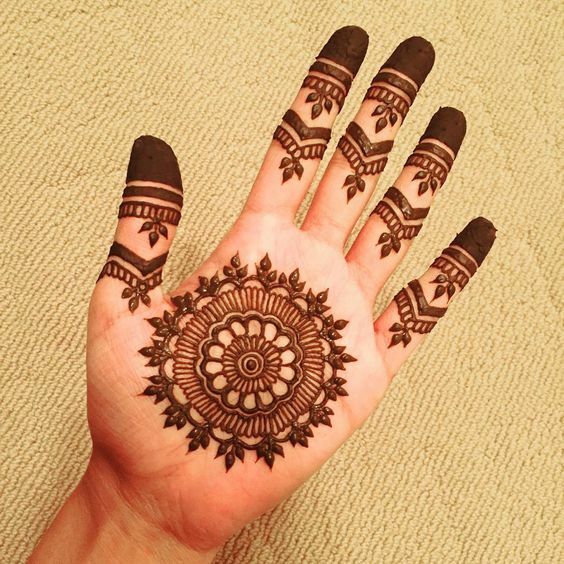 This mehndi design also gives a traditional touch and has a circle in the middle with a unique design at the sides and fingers. 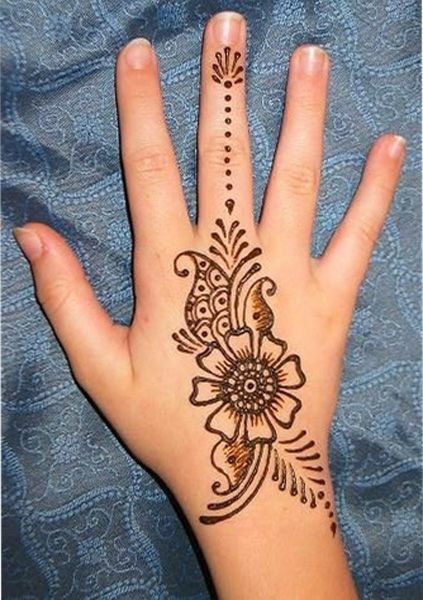 Here comes a yet another traditional Indian mehndi design which has been made with the black mehndi. 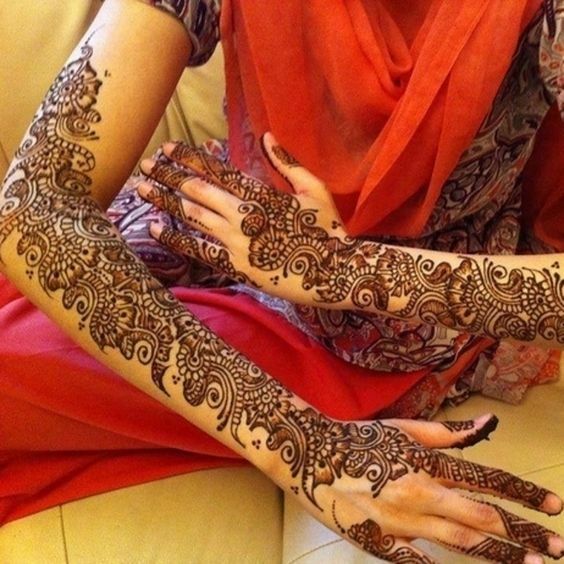 This mehndi design is pretty intense with a lot of different patterns on the arms and hands. This design end on the arms and looks astounding. 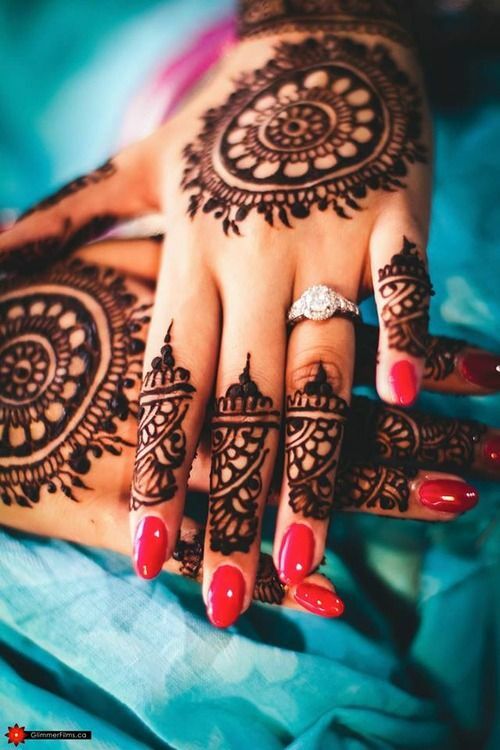 Arabic mehndi is known for its sophistication and intricate detailing. For those who prefer simple mehndi must always choose Arabic mehndi. 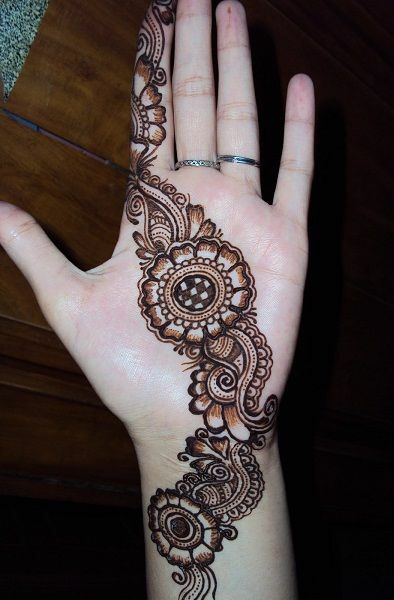 Have a look at this stunning and sophisticated mehndi design that has been made at the front of the hand. 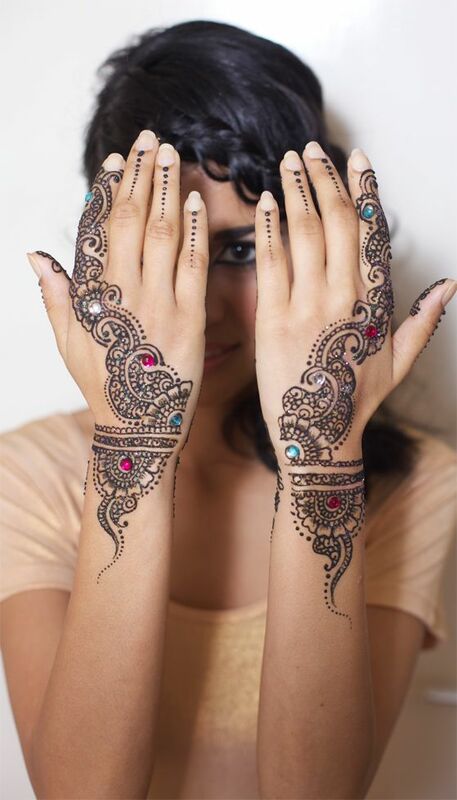 Here comes one gorgeous mehndi designs for the brides with some glitter. It would e a perfect choice for brides who want something simple yet very beautiful that can catch attention. This design has a little bit of glitter too which makes it even more striking. 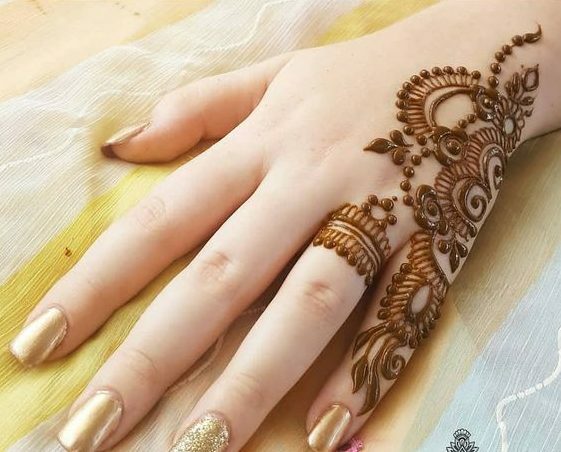 If you're looking for a simple yet a chic mehndi design then stop because this is the design that you are absolutely going to love. 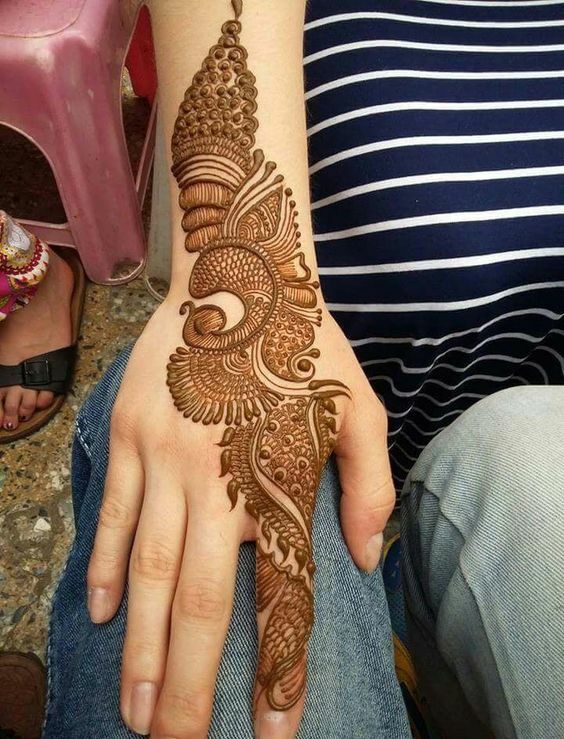 This mehndi design has been made at the back of the hand which has tiny floral vines at the side where middle finger is kept blank. Glitter mehndi looks extremely amazing if applied in the right way. They have a grace of their own and the colors look very eye-catching. Look at this striking glitter bridal mehndi design which will make you fall in love with it in minutes. The blue glitter makes the whole mehndi design pop out. 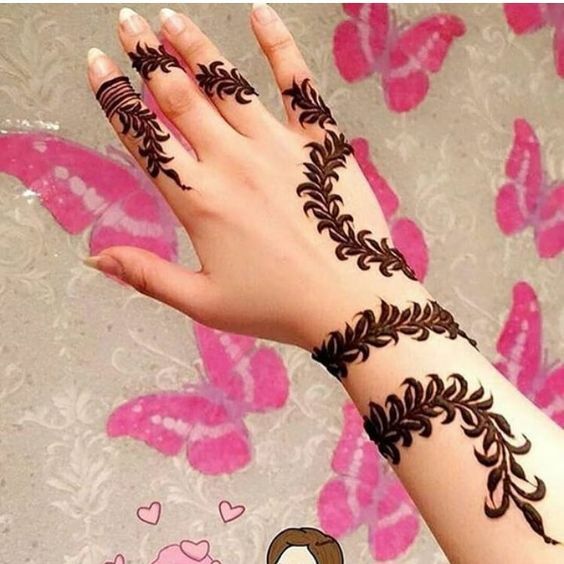 There are tons of mehndi designs that you can apply on the front of your hand, however, if you're looking for something different then try this. 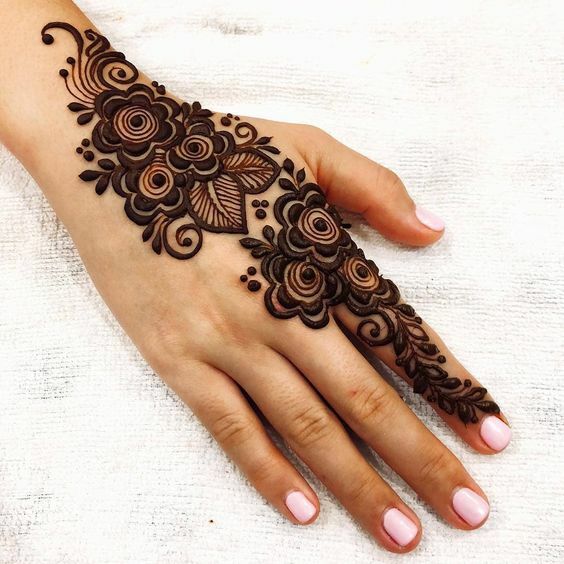 This mehndi design has interesting patterns where at one point you'll see thin strokes and at another point, you'll see thick strokes of mehndi. 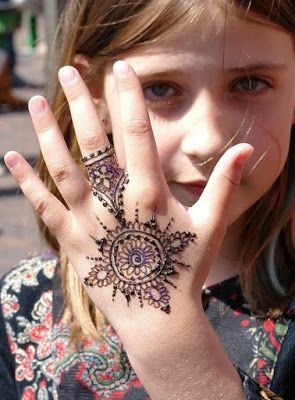 Kids are not just limited to tiny mehndi designs but they can also get classy mehndi designs and make their hands look beautiful. Here is a design which is perfect for kids that can be made on their hands on special occasions as it has a very unique design. 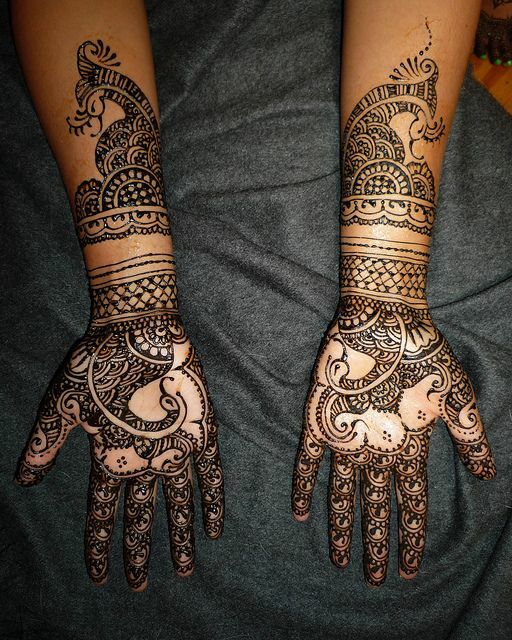 Here is a proper traditional Indian mehndi design which has been made on the arms and hands. 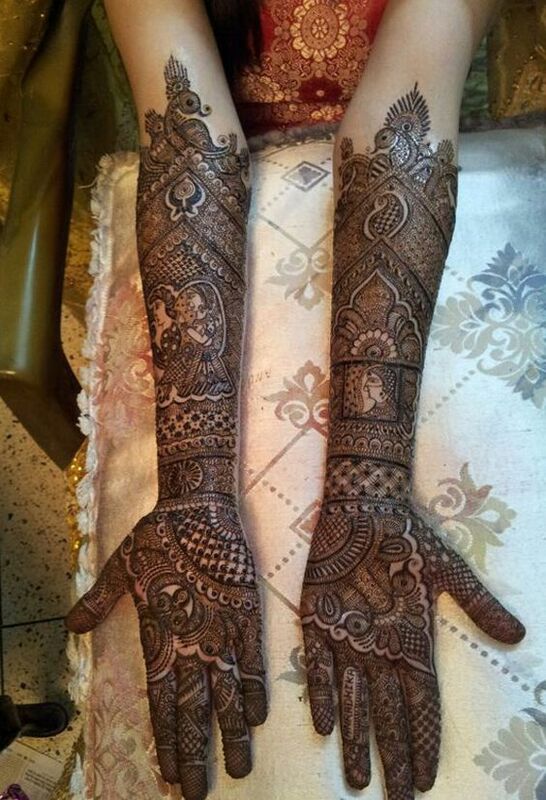 The arms and hands are fully loaded with mehndi and you cannot see any empty spaces in the arms or hands. It has various intricate patterns that make the design look stunning. 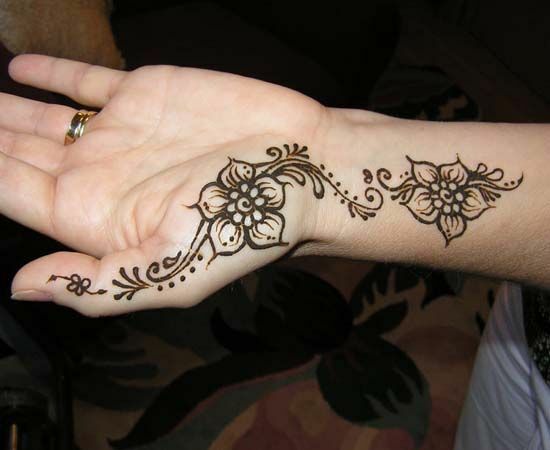 Floral patterns look extremely beautiful and they can be incorporated in a mehndi design in any way you like. 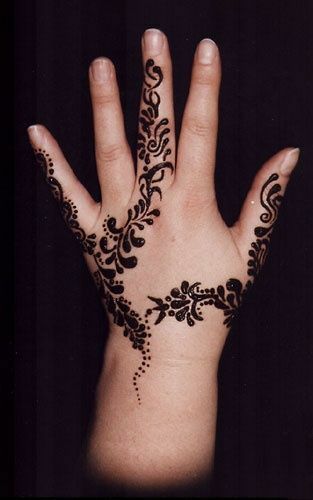 You can make them look heavier in the mehndi or make a simple delicate mehndi design out fo those. Here is an example of a delicate and simple floral design. 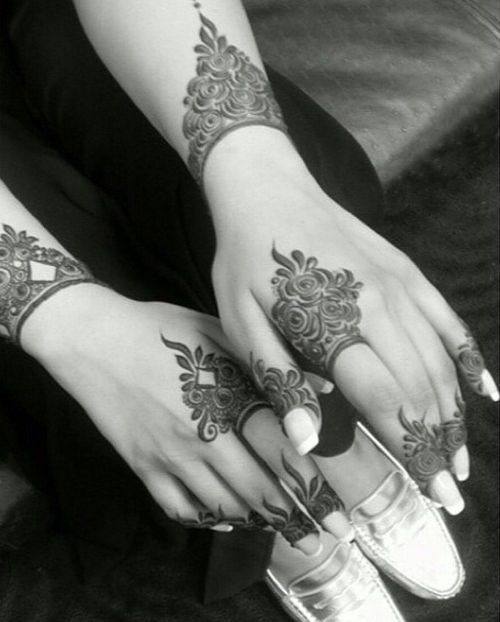 Here comes a yet another Arabic mehndi design for your front hands that looks absolutely amazing. There is also a lot of blank space left in the hand that doesn't give it a messy and fuller look. 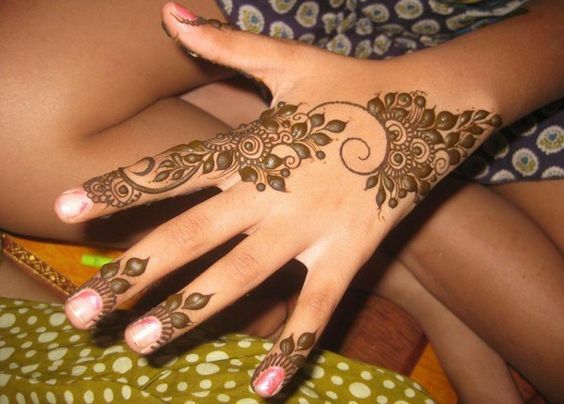 It has floral patterns that looks absolutely stunning and make the whole hand look beautiful. Floral designs are super beautiful and they are preferred by tons of women all around the world. Flowers play a major role in mehndi designs. 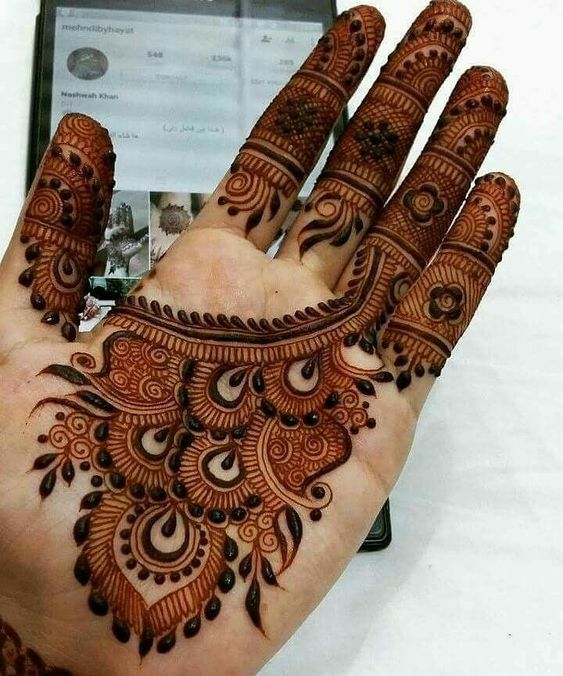 Look at this lovely and unique floral mehndi design which has been made at the back fo the hand. All of us love unique mehndi designs that can make us look different from the rest of the people. If you are a fan of unique and thick mehndi designs then have a look at this beautiful designs. It is quite an eye-catching design with thick patterns. 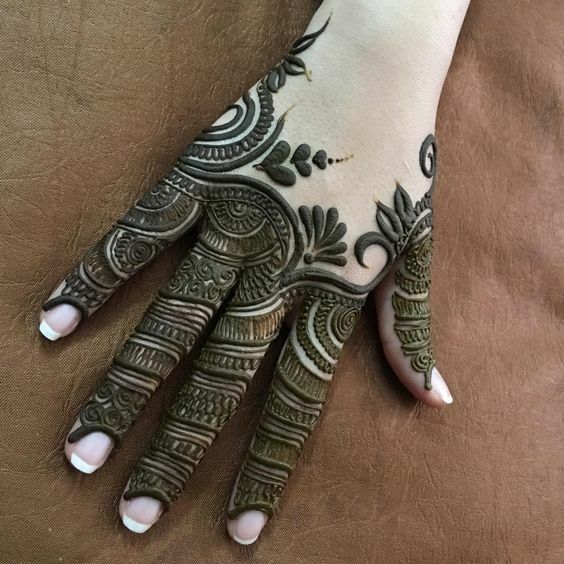 For the brides who don't really like thick and bold mehndi patterns can go for this design that has a simple look with very light mehndi strokes. 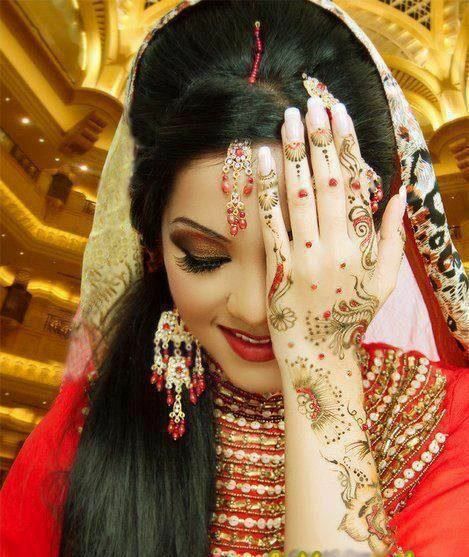 This is the perfect design for your big day if you are not a fan of heavy bridal mehndi as it looks pretty amazing. 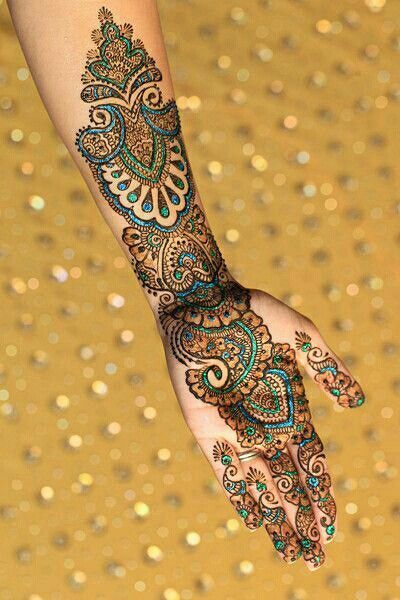 This is one stunning traditional mehndi design which goes till the end of the arm and looks absolutely stunning. You can see that this design has the floral patterns and the silver glitter has been filled in those flowers which looks really pretty and makes the whole design unique.